I had Lisa and Eve as guests this time around! 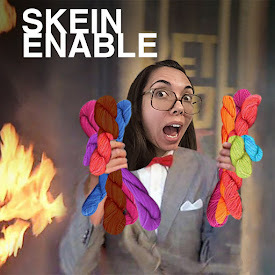 You might remember Eve from Michele's previous podcast, Skein After Skein. Eve had recently finished a crochet basket, that she modified greatly from another pattern. She made several cute fake fur hats using the pattern Jake and Lizzy by Heidi Yates. One of her Rav pages is here. 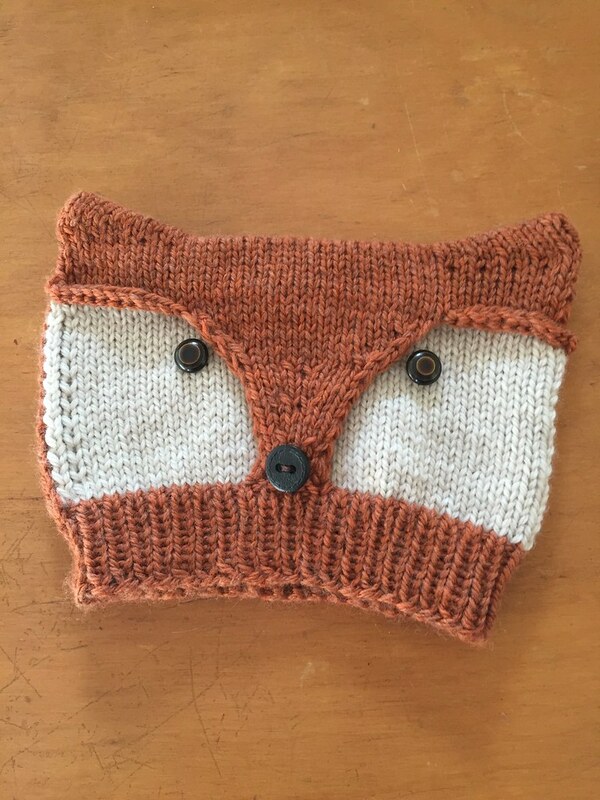 Jill finished a Foxy and Wolfie hat by Ekaterina Blanchard. She used Cloudborn Superwash DK in orange and cream. Eve is working on a chemo cap using the Madeline's Cap pattern by Knots of Love. Lisa is working on a cute little sewn felt animal from Tubby Wubby. She also showed us her zipper pouch sewn using cork. Jill is making her way through Summer Vibes by Lesley Anne Robinson out of Queensland Uluru. She is also still working on the Kusha Kusha scarf using Habu Stainless Steel/Silk and Merino. She spun up some .5 oz little nests of Targhee/Bamboo/Silk fiber from Goodie Supply Company. Jill is going to use the handspun yarn to knit up embroidered birds from Arne & Carlos's Field Guide to Knitted Birds. She also finally basted her quilt! Jill is into the Lavia pullover by Katrin Schneider. She bought the pattern for the Zweig pullover by Caitlin Hunter. She's also into the mix & shake hat by Svetlana Volkova. OH! The girls sounds GREAT on the podcast, Jill! This was a fun hour!! Another amazing episode. Love your work girl. Hope you go far in this filled and gain a lot of success. Looking forward to the next episode.